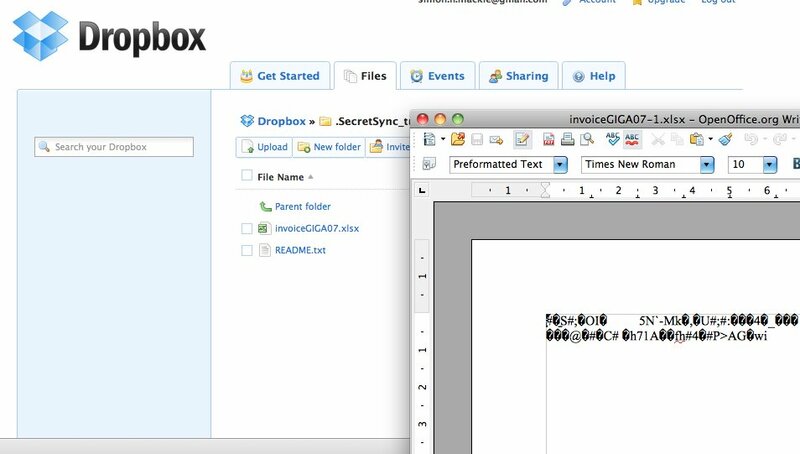 Although popular cloud file sync service Dropbox does encrypt files that are uploaded using it, if you want to be completely sure that your files are secure, you should encrypt them yourself — that way, an attacker won’t be able to access your data, even if your Dropbox account is compromised CompletelyPrivateFiles’ app SecretSync is an on-the-fly client-side encryption tool that provides you with a secure folder; any files added to that folder will automatically be encrypted before being synced with your Dropbox account. Providing you also have SecretSync also installed in any other machines that you use, decryption is also automatic. SecretSync is very similar to BoxCryptor, another client-side file encryption app for Dropbox that we’ve covered previously. Once installed both apps are completely transparent in use, encrypting and decrypting your data on the fly using the 256-bit AES standard before uploading your files. Although SecretSync works in a slightly different way to BoxCryptor — SecretSync puts an encrypted folder on your hard drive that’s linked to your Dropbox account, while BoxCryptor provides an encrypted virtual hard disk — they both effectively provide the same on-the-fly encryption of specified files. Like BoxCryptor, SecretSync is currently in beta and is only available for Windows (s msft), although the SecretSync site notes that clients for Linux and Mac (s aapl) are on the way. There’s no indication yet if there are any plans to charge for the service.